Have a basic understanding of American history, but wants to understand it in greater detail? This is your podcast. What Is It? : If the past repeats itself, then perhaps there are lessons to be learned from what’s already happened that we can apply to today. This podcast looks back at critical events, times, and people that shaped the United States with the hope of learning from what happened to inform us now. What’s It About? : Did you spend most of your high school or college history class only half-paying attention? Do you vaguely remember discussing some of the most important moments of the 20th century in America, but only the CliffsNotes version? If you showed up at a dinner party tomorrow and the topic of Prohibition came up, could you share much beyond a general understanding of what a speakeasy is? If any of those situations apply to you, perhaps American History Tellers can help. This podcast is dedicated to taking important topics in recent American history (ex. – The Cold War, Prohibition, the Gold Rush, the Space Race) and doing a deep-dive into each in order to suss out the overlooked details and nuance that happened in between the truly memorable stuff. By doing so, the show’s stated goal is to help inform the way we look at America now. While some things may be very different now, some things aren’t. And the way people react to them may have never changed at all. Who Is The Host? : Lindsay Graham (No, not Lindsey Graham). Audio drama fans might know Graham as one of the creators of Terms, one of the most prescient fiction podcasts ever created (about a sitting President conspiring to keep a wild card President-elect who won the electoral college, but lost the popular vote from ever taking office). He clearly has a thing for American history and the government’s role in it, and it always feels like we’re in very capable hands during the podcast. As the narrator, Graham is like the cool professor whose lecture you actually want to pay attention to, whereas the you might lose interest in the topic in less capable hands. What’s A Normal Episode Like? : While it sounds as though the podcast will eventually cover multiple topics, the three episodes released, as of this writing, all pertain to The Cold War as part of an ongoing series. The podcast’s cold open often asks you to step into the shoes of a person living in the era under discussion. It’s often a situation that modern audiences might know from a period TV show but it’s usually revealed to be an actual person’s life and the extraordinary circumstances they’ve been placed in. Graham then proceeds to tie in that story to the larger theme of the episode, which might be the early days of the particular historical event or a historical bullet point that was actually more detailed then we remember. Who Is It For? : The obvious audience might be history buffs, but then again, history buffs probably know a lot of this information already. Upon closer inspection, the intended audience is someone who has a basic understanding of American history, but wants to understand it in greater detail. It’s for the podcast listener who has the time and attention span to commit to a history lesson, but also wants a frame of reference they can apply to what’s happening now. This isn’t the kind of podcast you throw on while and only half-listen while doing the laundry. It’s the kind of podcast you put on during a long commute or when you’ve got time to spare so you can really take in all the interesting facts and events. Who Is It Not For? : People with short attention spans. AHT staddles the line between podcast and audiobook and you might even think it was the latter at times. It’s not as dry as someone reading a textbook, but it certainly asks the listener to commit to 45 solid minutes of paying attention. Podcast listeners who are used to getting their history lessons from The Dollop will need to check those expectations at the door. How Many Episodes Are There? : There’s only a handful of episodes so far as the podcast just started on January 3. New episodes premiere every Wednesday, though it’s unclear whether it will be continuous throughout the year or appear periodically with each historical event mini-series. The Cold War mini-series is a six-part series so we can assume most others will follow that model. Any Special Guests? : It’s not really that kind of podcast, although if you count mentions and quotes from U.S. Presidents such as Dwight Eisenhower and Harry Truman as “appearances,” well, then there you go. Gimme Some Great Episodes to Get Started: You kinda have to start at the start. So we recommend going with The Cold War – An Ideological War. The first episode of The Cold War mini-series delves into how the United States’ suspicion of communism ended up threatening democracy in its own country. So, Should I Listen To This? 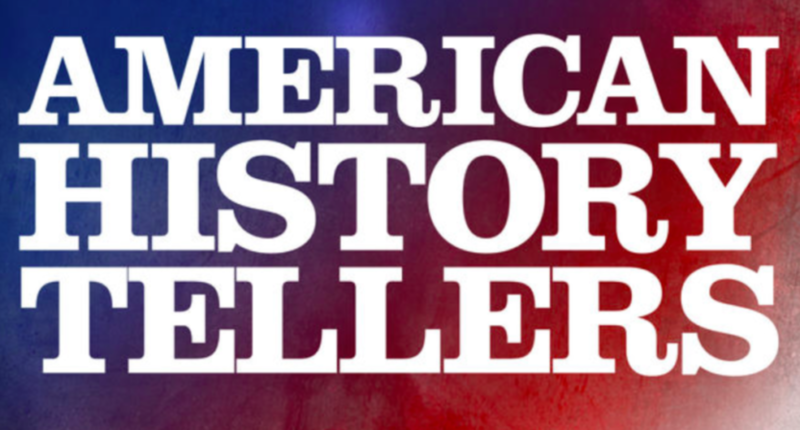 : There are plenty of good reasons to listen to AHT, chief among them is to gain a better perspective on what really happened in American history beyond what you learn in TV dramas and biopic movies. Even though it’s about what happened a long time ago, the first topic also feels extremely relevant given the discussion and democracy, government overreach, and the idea of what America is supposed to mean. Perhaps that’s why it shot to No. 1 on the iTunes podcast charts so quickly. It certainly requires your attention more than most podcasts, but perhaps forcing yourself to heed the lessons of yesteryear is exactly what you need right about now.